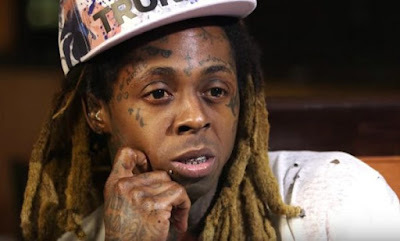 Lil Wayne is demanding the return of a notebook filled with his old lyrics, but the guy trying to sell it for $250k says the rapper's just gonna have to buy it like anyone else off the street. We broke the story ... Weezy's 1999 notebook is being sold by Moments in Time for a quarter-million dollars, and the dude claiming ownership says he found it lodged in a car that once belonged to Cash Money Records. Now Wayne's trying like hell to get his work back ... his attorneys fired off a warning letter to Moments in Time, claiming Wayne's the rightful owner, and the broker doesn't have permission to sell or transfer the notebook to anyone. In the letter, obtained by TMZ, Wayne's legal team says he never abandoned his notebook -- he simply misplaced it and is thrilled it's been found. Weezy's team claims the guy who found it "absconded with the notebook" and hid it for years ... waiting to cash in. Gary Zimet, the owner of Moments in Time, is firing back ... he says if the Young Money honcho wants the notebook, he'll have to pony up, because the guy who found it "has crystal clear title." That's fine with Wayne -- he's threatening legal action if Moments in Time doesn't stop the sale -- and we know he can afford a lawyer or two.